Mr. Helms earned his undergraduate degree at the University of Georgia. At UGA he graduated at the top of his class and was selected to be a member of Phi Beta Kappa. After graduation Mr. Helms went on to earn a law degree at the University of Georgia School of Law. While at law school, Mr. Helms excelled while participating on special appellate advocacy teams for the school. Mr. Helms was also one of 12 law school students selected to teach undergraduate students in business law courses. 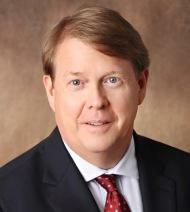 Mr. Helms has been recognized by his peers as one of the leading attorneys in the state. In 2006, Mr. Helms received his AV rating by Martindale-Hubbell, its highest rating for ability and professionalism. Mr. Helms has also been named a Georgia Super Lawyer every year since 2007. Additionally, Mr. Helms has been named one of the Best Lawyers in America since 2008 and since 2009 and has been named one of the Preeminent Lawyers in America. Mr. Helms has been active in the Georgia Trial Lawyers Association, a statewide legal organization that specializes in the representation of people who have been the victims of negligent nursing homes, truck drivers, doctors, hospitals, corporate wrongdoing and work place injuries. In addition to his work as a lawyer, Mr. Helms is active in his community. Mr. Helms is a member of the Homerville United Methodist Church, where he serves on its Pastor/Parish committee. Mr. Helms also serves as the Church’s Building Committee Chair and has over seen its recent million dollar building and renovation project. Mr. Helms also serves as co-chair of the Clinch Christian Alliance, a non-profit charitable organization. Mr. Helms was Scoutmaster for the Homerville Boy Scout Troop from 2008 - 2013, and was selected as a member of the Boy Scouts Honor Society, The Order of the Arrow. Mr. Helms now serves as the Assistant Scoutmaster for Troop 426.